Last week, the DesignLights Consortium (DLC), delisted products that do not meet the new quality and efficiency standards. There are new technical requirements for indoor and outdoor Luminaries and Retrofit Kits, and there are now two categories of designation, DLC standard and DLC premium. Minimum Efficacy – This is the measure of Lumens per Watts. So for example, if the light output is 5,000 lumens and the wattage is 55, the minimum efficiency is 90. Correlated Color Temperature (CCT) – CCT measures the color of a light source by using Kelvin (K) temperature, which indicates the warmth or coolness of a lamp’s color appearance. The lower the Kelvin temperature (2700–3000 K), the warmer the color of the light, while the higher the temperature (3600–5500 K), the cooler. Color Rendering Index (CRI) – The CRI measures the light source’s ability to show object colors realistically compared to a familiar reference source, such as incandescent light or daylight. The higher the CRI, the better the light source renders every color in the visible spectrum. Light sources with a CRI of 85 to 90 are considered good at color rendering. Light sources with a CRI of 90 or higher are excellent at color rendering and should be used for tasks requiring the most accurate color discrimination. Lumen Depreciation – L70 v L90 – Light sources gets dimmer over time. This dimming is called lumen depreciation. If a fixture had a lumen maintenance of 70%, that would mean it lost 30% of its brightness during its rated life. If it had a lumen maintenance of 90%, that would mean it lost just 1/10 of its brightness during its rated lifespan. The results are then placed into two categories: DLC Standard v DLC Premium. In general, for outdoor lighting, the minimum efficacy ranges from 90-100, and 65-105 for indoor lighting and the lumen depreciation L70. The DLC Premium designation is new, and is only available to complete luminaires and retrofit kits. The primary differences for the Premium designation are the significantly increased efficacy requirements, which in general range from 110-120 for outdoor lighting and 90-130 for indoor lighting. They also and the need to provide an L90 projection. To find out more specifics about these measurements, please see the DLC’s Technical Requirements Table. Some utility companies offer tiered rebate programs, so it may be more cost effective to install lights that meet the DLC Premium standards. Before you install your lighting, you can check to with your local utility or the Database of State Incentives for Renewables & Efficiency (DSIRE) to find rebates. DSIRE is the most comprehensive source of information on incentives and policies that support renewables and energy efficiency in the United States. Conservation Mart offers a wide range of DLC listed lighting options and our customer service team will help you figure out which products may be eligible for rebates from your utility. The DesignLights Consortium® (DLC) is a non-profit organization which establishes product quality specifications and tests them to ensure that commercial lighting products are high-quality and energy-efficient. On April 1, 2017, products that do not meet the V4.0 Technical Requirements will be removed from the active qualified product list and will not be eligible for rebates. The new standards of 4.0 can be found here, but basically, they are continuing to encourage innovation and efficiency by ensuring that improvements in LED technology include energy savings. You can check to with your local utility or the Database of State Incentives for Renewables & Efficiency (DSIRE) to find rebates. DSIRE is the most comprehensive source of information on incentives and policies that support renewables and energy efficiency in the United States. 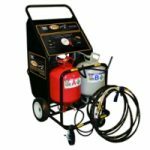 Click on this link to see if there are rebates available in your state. Conservation Mart offers a wide range of DLC listed lighting options and our customer service team will help answer questions you may have about which bulbs meet these new standards. In 1992, the US Environmental Protection Agency (EPA) introduced ENERGY STAR as a voluntary labeling program designed to identify and promote energy-efficient products to reduce greenhouse gas emissions. They began by labeling computers and monitors and in 1995 expanded the label to include office equipment products and residential heating and cooling equipment. In 1996, the EPA partnered with the US Department of Energy for major appliances, office equipment, lighting, home electronics, new homes and commercial and industrial buildings and plants. Today, ENERGY STAR encourages energy efficiency in more than 70 product categories. More than 1.6 million homes and over 25,000 buildings have earned ENERGY STAR certification. Third party certification process makes sure anything that earns the blue label meets the highest standards. Even an LED bulb must pass dozens of checks to assure quality, performance, and efficiency. Conservation Mart is proud to carry a wide variety of ENERGY STAR bulbs. 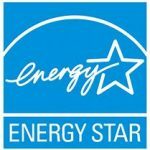 Over the years, the ENERGY STAR label has helped save more than $362 billion on utility bills and reduced greenhouse gas emissions by more than 2.4 billion metric tons. EPA’s ENERGY STAR program is the most successful voluntary energy efficiency movement in history. Visit their EPA Energy Star site to learn more about this program and to find information on federal tax credits. 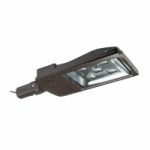 LED Street and Area Lighting Fixtures are ideal for outdoor areas including streets, roadways, parking lots, and pedestrian areas. Well-designed LED outdoor fixtures can provide the required surface illuminance using less energy and with improved uniformity. These LED Area Lights also have significantly longer life and offer better lumen maintenance, energy efficiency, durability, color quality, light distribution, thermal management, and low costs. 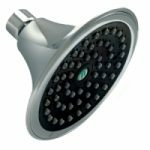 LED Area Lights are available in different mounts such as pole mounted fixtures, slipfitter and trunnion mount models, knuckle pole and wall mounts. LED Area Lights also fit into commercial fixtures and shoebox fixtures which feature multiple mounting options, and a heavy duty slim design. Wattage is the measure of the bulb’s energy consumption – not how much light it puts out. Energy-efficient bulbs use fewer watts to give off the same amount of brightness (lumens). Because of this, LEDs (which have typically low wattages when compared with lumens) not only help reduce energy usage but also lower electric bills. Color temperature refers to the color appearance of the light that comes from a light source. It’s an important performance characteristic to asses when evaluating bulbs because the color temperature creates the mood of the space you are lighting and can thus influence buying behavior or work performance. The apparent color of a light source is measured in Kelvin. The higher the Kelvin temperature, the whiter the light. When a fixture is DLC Listed (stands for Design Light Consortium) it may qualify for energy rebates by your local utility which can significantly reduce the cost of ownership. 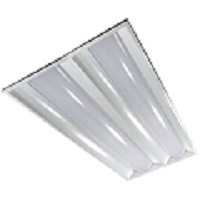 The qualified products list is a resource for program administrators, to help them decide which solid state lighting products to include in their energy efficiency promotions. Advantages of LED lights include, energy savings, better quality light, and the ability to respond to intelligent controllers, for even more energy savings. Fluorescent light technology does not work well with dimming controls. In comparison, LED lighting can be controlled by ambient light sensors, either built into the individual light unit or by as part of a lighting zone, which makes it easier to have a planned energy usage system. Now the question is whether to use a LED retrofit orLED ready T8 fixtures to make the switch from fluorescent to LED lighting. If you don’t want to buy a new fixture, LED retrofits are a good option. LED retrofitting means switching inefficient lighting technologies, such as fluorescent lights, to a new energy-efficient lighting system using the fixtures that are currently in place. If you are happy with the layout of your existing fixtures, you do not need to pay for new fixtures or a redesign. You just need to purchase an all-in-one retrofit kit which usually includes everything you need for a fast and easy installation, such as, brackets, sockets, wiring, screws and fasteners. First you will need to remove the existing bulbs, ballast, sockets, and brackets, and then replace them with LED lamps and a wiring harness. You do not need many wiring alterations but you should use a licensed electrician to be sure that you are adhering to your local code and safety requirements. If however, you are looking to replace your fixtures, LED ready T8 fixtures allow installers to avoid bypassing the ballast and adopt the energy-saving benefits of LED technology. Our selection includes Vapor Tight, Linear Utility Strips , and High Bays. Either way, the switch to LED lighting has some of the best financial returns on investment of energy efficient installations. For example, a lighting upgrade reduced the energy lighting costs in a manufacturing facility by 40 percent, resulting in a savings of over $50,000 in annual lighting costs. Whether you have young kids who get up at night, a pet who needs to be let out, or frequent trips to the bathroom, there is a chance that at least someone in your household is walking the hallways at night. An LED night light can prevent waking up others in the household and more importantly, prevent a fall down the stairs. The advantage of using an LED night light as opposed to an incandescent one is that the LED bulb consumes 90% less energy than incandescent night lights, and it could be years before you would have to replace the bulb. This LED Night-Light with Photocell technology will automatically turn the light on at dusk, and off at dawn. This is a fantastic feature because then you don’t have to remember to switch the night light on and off since it is automatic. As you can see by the review below, it is a top rated product and at only $2.40 it is a tremendous value. Your family and guests will appreciate the extra illumination of your hallways and bathrooms without disrupting their sleep.